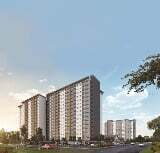 D'Haven Condo, Klang. Below market value! D'haven condo is located opposite Pantai Hospital on d way from Klang to Port Klang. Persiaran Raja. ONE KESAS is set to become the first lifestyle hub in Klang comprises wholesale retail city, educati. ...Klang Lama. There is a proposed LRT station (OUG station) from the extension of Sri Petaling LRT line to be located near to the condominium. Double storey Corner shop office in Telok Pulai, Klang, big land size approximately 44'x80', buildin. A sanctuary for the everyday city hustler with a love for nature. Come home to functional spaces and.